Luján is a city in the Buenos Aires province of Argentina, located 68 kilometres north west of the city of Buenos Aires. The city was founded in 1755 and has a population of 67,266. 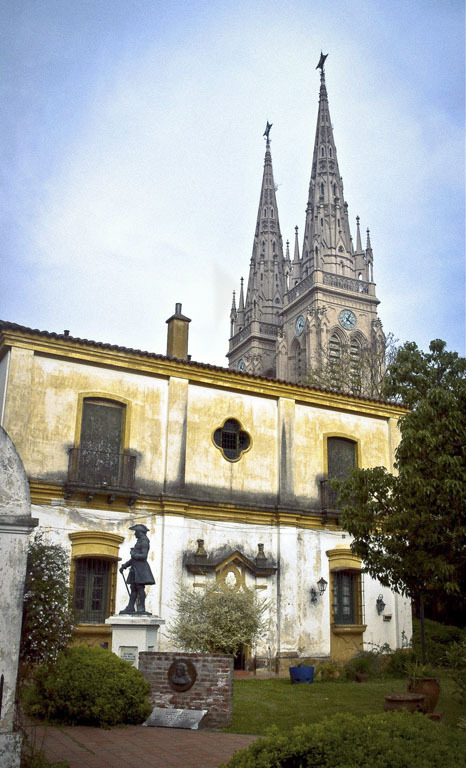 Luján is best known for its large neo-gothic Basilica, built in honor of the Virgin of Luján, the patron saint of Argentina. Every year, more than six million people make pilgrimages to the Basilica, many walking there from Buenos Aires. The city is known as La Capital de la Fe (Capital of the Faith). It is popular day-trip for non-believers too, with abundant grill restaurants (like most places in Argentina) and souvenir shops with kitsch religious memorabilia.